A full week of rain in Melbourne marked the transition from an Indian Summer wannabe to Autumn proper. It felt like the soil itself let out a welcome sigh of relief, as a contestant drizzle eventually soaked the earth until it could hold no more. The best (or worst) sign of this is when find a heap of dead worms on your back porch on the morning after a big storm. Now soaking the soil with rain water just got better over at my place due to having brought in a couple of tonnes of basalt and granite dust, mixed in with quality garden soil. It is a remineralization of the soil experiment that will have its own post shortly, and suffice to say – the trees are loving it! 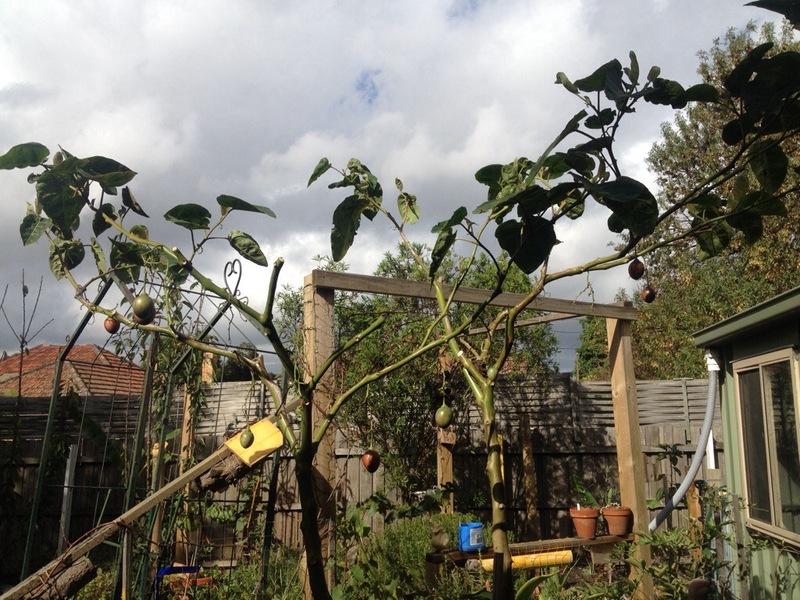 One such tree that seems grateful for the change is the Tamarillo, having just been pruned back hard in preparation for a new season of growth. 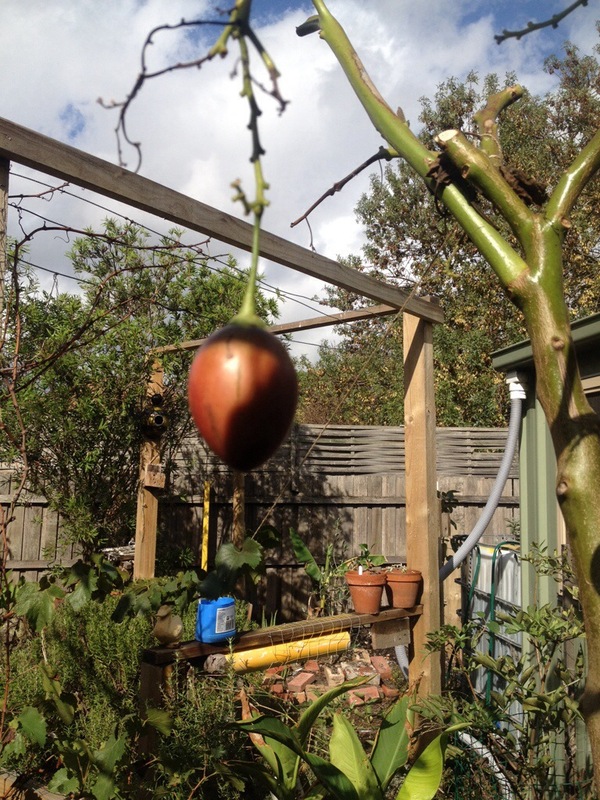 As I’ve described previously, tamarillo fruit is borne on new growth, and a hard prune will result in a greater harvest. 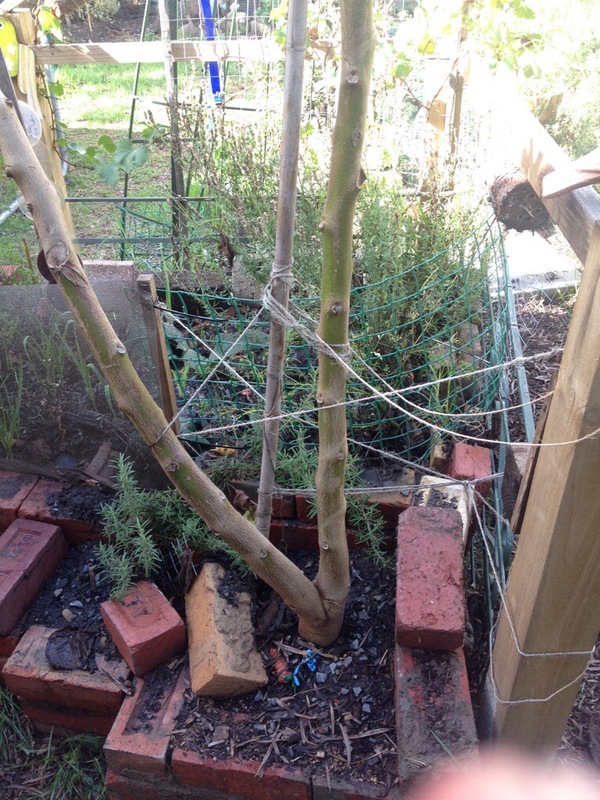 I’m also participating in an interesting initiative named Tree Following, where each month a heap of gardeners from around the world document the changes of a nominated tree – which in my case is the tamarillo. And I invite others to join me – to choose a tree and to ‘follow’ it. Plus, it is another reason to be writing for you guys. Got any trees you feel are special. Sure you love them all, but some more than others? 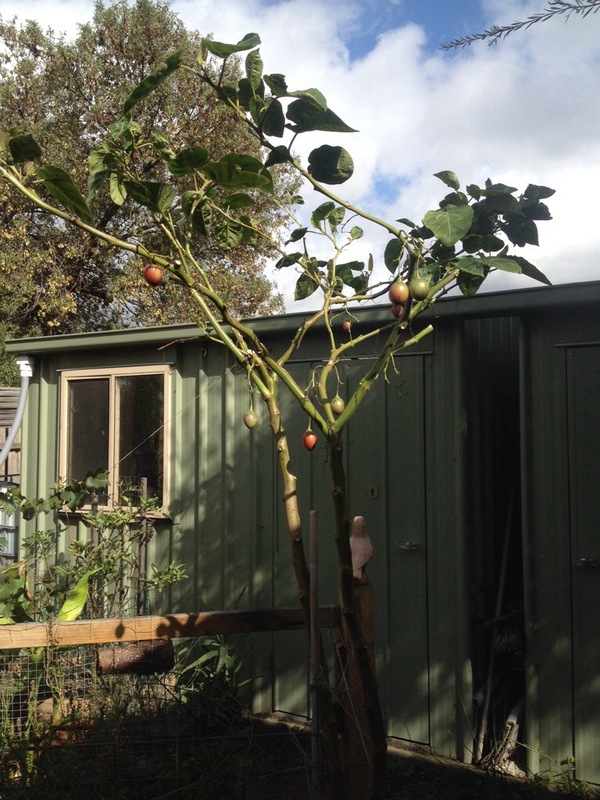 Tags: autumn, Fruit, garden, gardening, tamarillo, Tree, tree following. Bookmark the permalink. The week of rain must be brilliant! The basalt and granite is a sensational idea. You can never have too much of it! Oh yes, and this rain is continuing into May! Are you trying anything with rock dust type products yourself? If so, what works? Hi. I use Rok Solid, which as volcanic rock, seaweed and fish fert, my garden loves the stuff! I’ve never tasted a tamarillo fruit. They look like Christmas tree decorations hanging there. Wondering what the insides are like. Do they have pips like tomatoes or stones like plums or . .. or what?